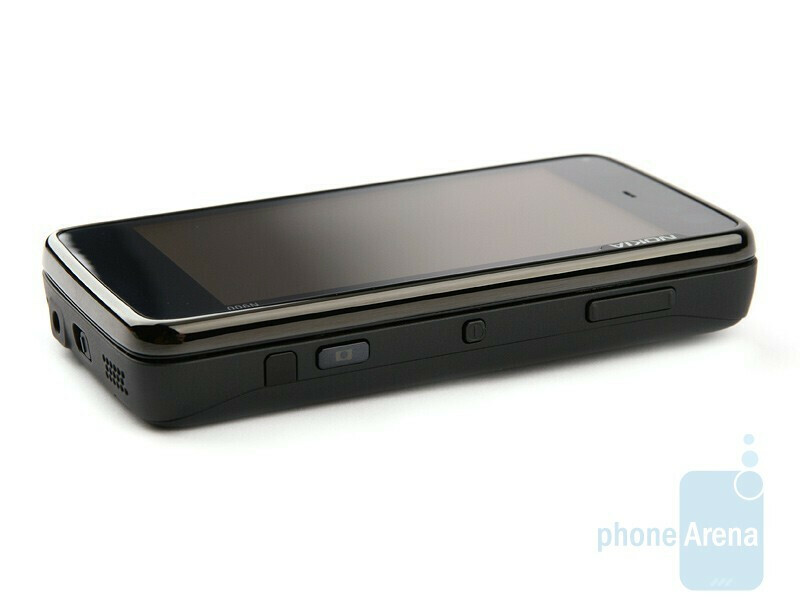 This is a global GSM device, it can be used with T-Mobile's 1700MHz 3G band, and with AT&T without 3G. Cell phones have been an indispensable part of our daily lives for a long time. Their popularity and influence are enormous and growing rapidly. People use the global network for virtually anything, from watching videos, listening to music, chatting, social networks and information search to content publishing, email correspondence and what have you. 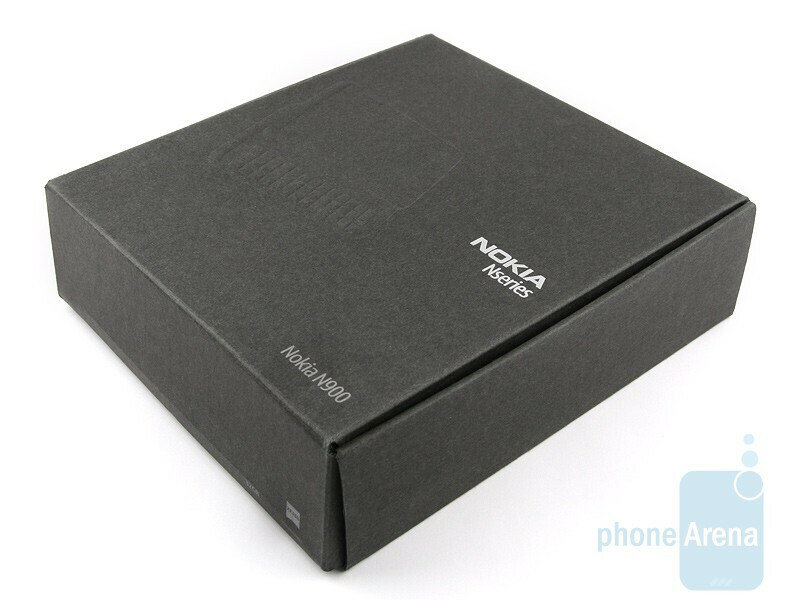 What´s in the box of the Nokia N900? 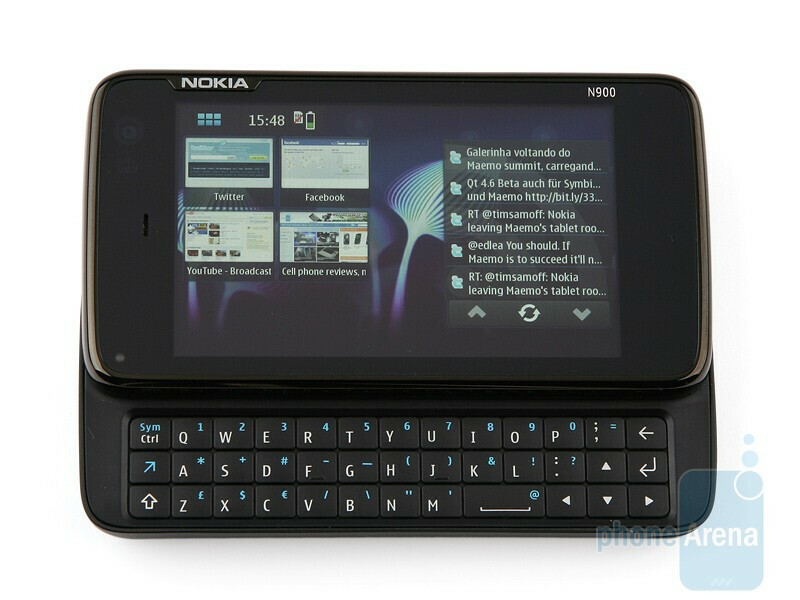 The overall design of the Nokia N900 is austere and brand new alongside of the previous generations of internet tablets by the same manufacturer. 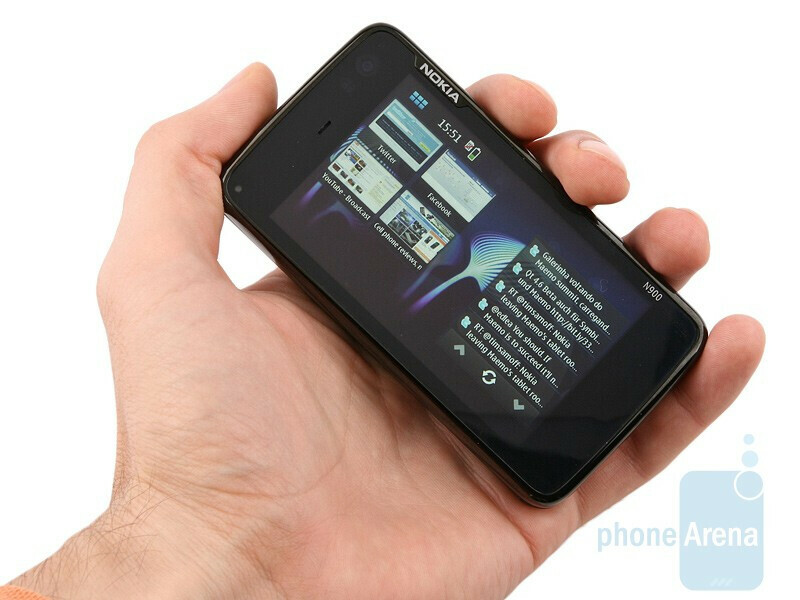 It´s more compact and lightweight, although compared to an average cell phone the N900 feels solid and bulky and therefore, uncomfortable to carry around in the pocket of your trousers or jeans. 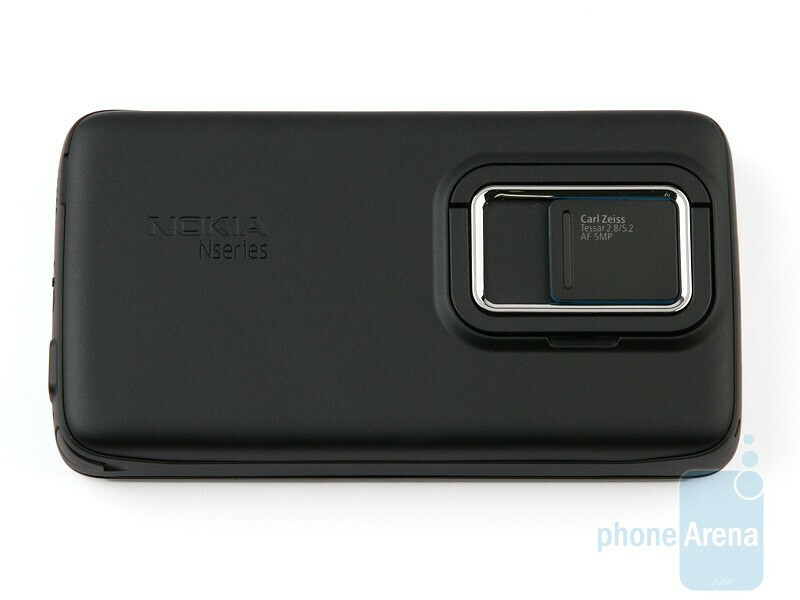 You can compare the Nokia N900 with many other phones using our Size Visualization Tool. There are no buttons on the front side and this is one of the facts that tip you off the N900 is an internet tablet and not a cell phone. The 3.5-inch display (4.13´´ on the N810) comes with native resolution of 800x480 pixels, 16mln color support and utilizes resistive technology. Its overall sensitivity is proper and the screen feels pleasing to use. The image quality is high as well, not last thanks to the transflective technology it incorporates which helps it to remain totally usable in direct sunlight, meaning you will be able to discern everything without a problem. 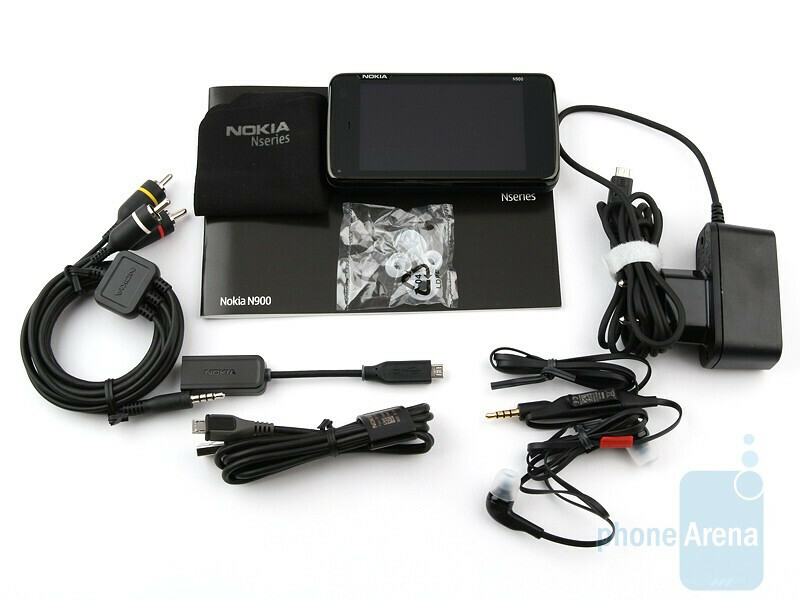 The earpiece is above the screen, along with the video call camera, light-sensitivity and proximity sensors and the LED indicator. 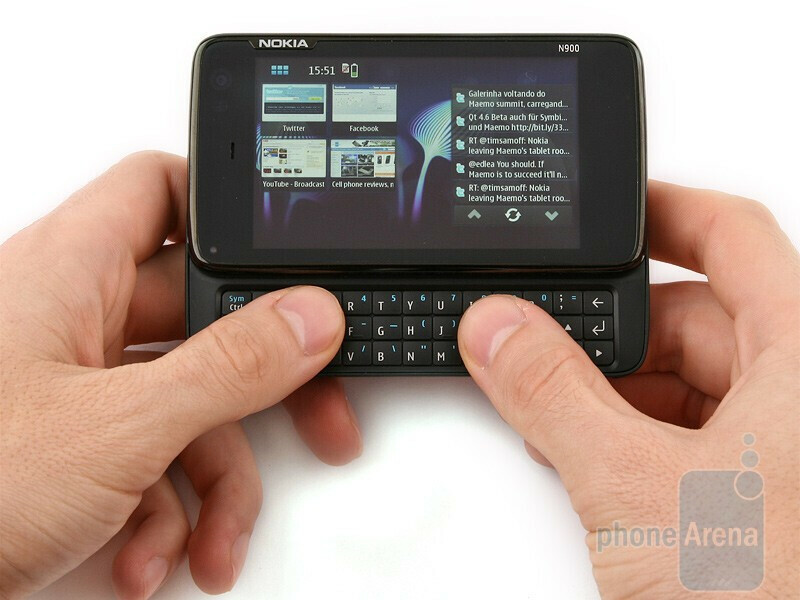 The buttons of the QWERTY keyboard of the Nokia N900 are arranged in three rows (4 with the N810) and are relatively large, backlit and have proper travel. Unfortunately, they are cramped and the keyboard design gets in the way if you feel up to typing away fast, because you will often find yourself erroneously pressing two buttons at the same time. 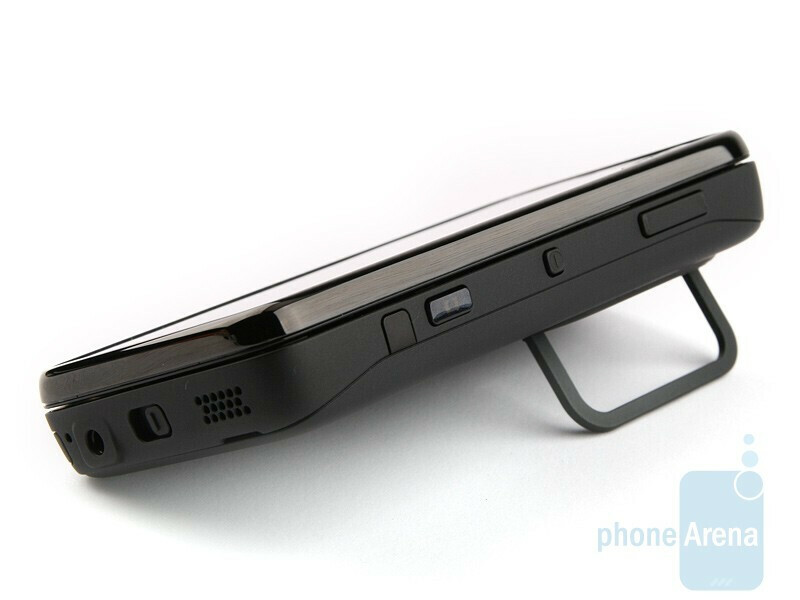 As a whole, the keyboard performs slightly above average and quite similarly to the one the N810 is equipped with. We did expect more. On either side of the brand new internet tablet there are volume rocker that you can also use to zoom on things in the camera and browser interface, power on/off button (also used as a profile switcher), camera shutter, infrared port, stereo loudspeakers, screen lock/unlock slider, 3.5 mm. jack, stylus and microUSB port. All buttons have proper travel and are clearly felt when pressed, so we don’t have any gripes relating to any of them. 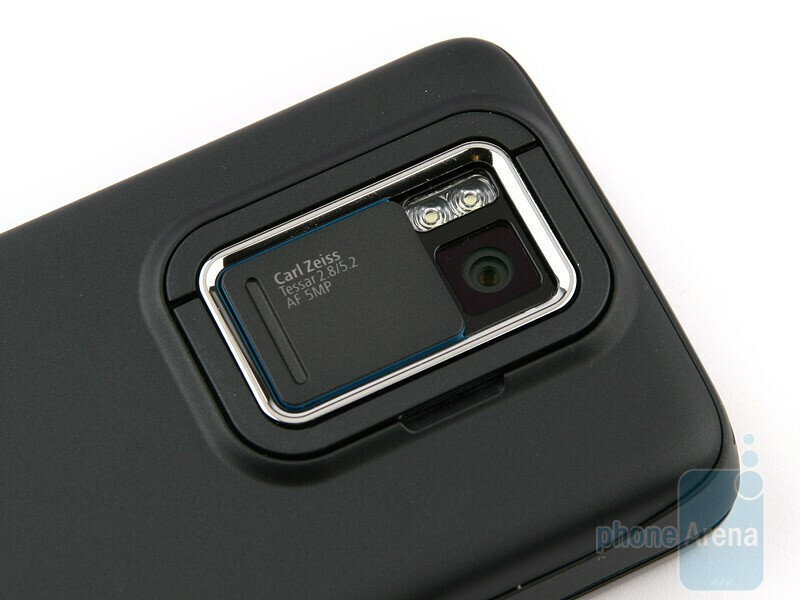 The 5-megapixel camera with Carl Zeiss Tessar optics and double LED flash is on the back and covered with a small, sliding flap. The stand to prop up the device located next to the camera module (just like on the N86 8MP) makes for an interesting extra feature, although it’s of much smaller size than the jamb the N800 and N810 sport. It does come in handy if you feel up to a video, but the thing is the N900 is rather wobbly and unstable if you set it down on surface that´s not completely flat. Still, the stand is a welcome addition to the feature set. 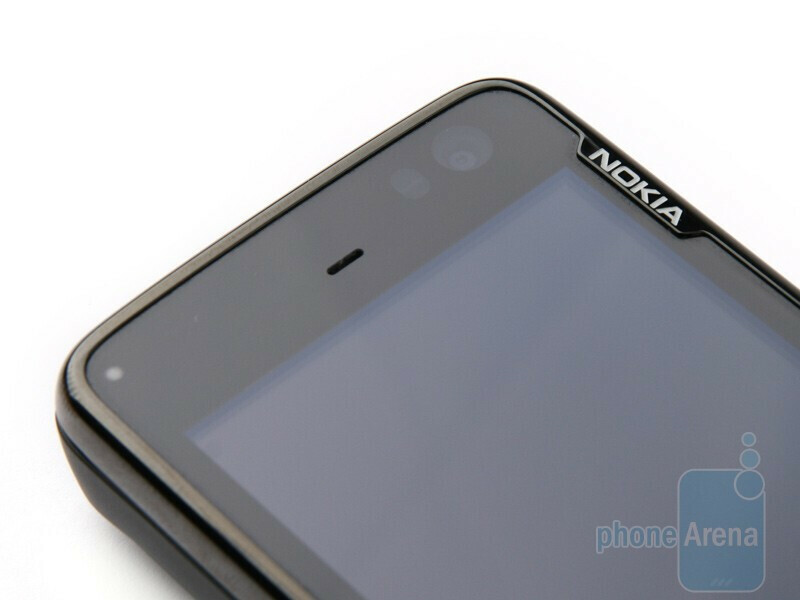 The flash on Nokia N86 8MP is dual led. Good review as always. This was an excellent review! Great works, guys! I am looking for a succesor for my E71, but it looks like I am going to have to wait for Exchange Support! I'd also like to see better performance in the Maps program, as well. Everything else sounds like it's pretty much the perfect device. I don't see portrait mode as a drawback, for the type of device it is, although with all that power under the hood, I would expect most of the applications and OS to work in some capacity in either orientation. 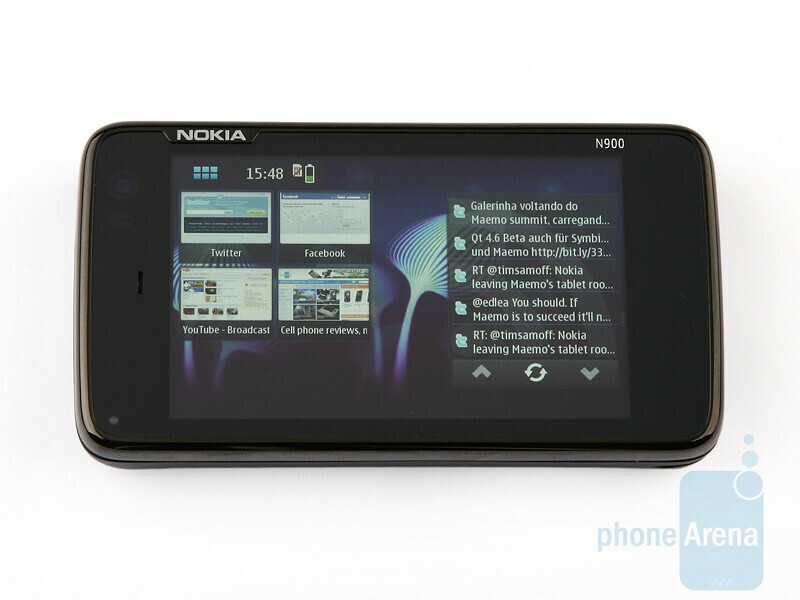 From what I have read, the N900 supports exchange. Really disappointing to see all the things missing from the software. I have come to expect Nokia to include lots of options for things like the camera and video recording, and to see half of that stuff missing is just sad. I really do hope that if Nokia plans on using this in other Nseries devices in the future, not internet tablets, they add all the things that are missing, and fix that maps program. Hey PhoneArena, you never said what the stereo speakers sounded like. How do they compare to the N95, N97, and 5800? 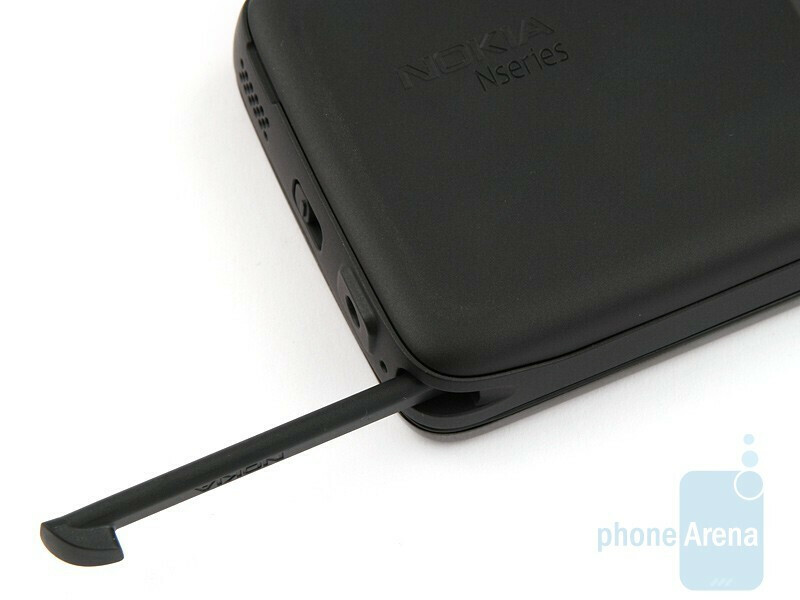 apart from the ovi maps not as good as google's,i recommend this phone to any one that want to take their laptop with them 24/7,you will be entertain,cos just bought my n900 since then it has put smile all over my face,thank's NOKIA N GREAT JOB,phonearena points review did not do N900 any justice,sad!